Nice house near Bayeux in an exceptional site. Independent lodging in an old bakery with its intact bread oven. 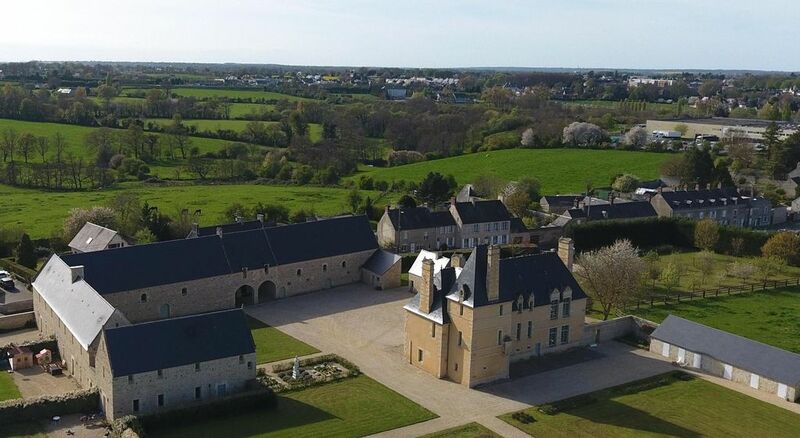 In a unique and exceptional site near Bayeux ideally located to visit the landing beaches and Mont Saint Michel. Living room with kitchenette and sofa bed Refrigerator, microwave. Room with double bed and bathroom. Housing ambience old ancient stones and beams. At 500 meters from the station and 1500 meters from Bayeux Cathedral. What’s not to like about a nearly 400 year old fully modern apartment set in an old bakery? This was the best experience in a month of French rentals, The property is stunning. The host, Christophe, is the best, most gracious Frenchman we have met. So close to town center and all D Day sights, I guarantee you’ll love it! Gorgeous setting. Everything we need for our stay. Enjoyed completely. Only suggestions are that the chairs at the table are a bit wobbly and is live a more comfy chair or sofa to curl up on at the end of a long day. But really those are minor. Appreciated the beauty and history of the place, wifi, washing machine, roominess and easy parking. Thanks for the great stay. The property is lovely, hosts are very nice and gracious. Convenient location, a short walk to town's center, but you can also find parking close to the center if you don't feel like walking. Close to the train station. An excellent base location for exploring the area. Thank you Leon. Good to know you enjoyed your stay. You are welcome back at any time. This suite was lovely. Perfect for 2 people. The stone walls and the wooden beams were a nice touch. Christophe was warm and friendly. A very kind and helpful host. Merci pour votre accueil dans un domaine magnifique est au calme Bravo pour la mise en valeur de votre bien cela reste une adresse a mettre dans les favoris est à faire partager avec nos amis. Nous avons été heureux de vous accueillir et de savoir que vous avez apprécié notre ferme manoir et sa boulangerie !